At Window Glaze Systems, our team of trained window fitters are able to carry out all type of repair work or your windows and doors. Whether it is fixing a faulty door lock or replacing a broken window that needs a like for like replacement, we can undertake professional repairs that ensure that the safety and security of our property cannot be compromised. As a FENSA registered company, we come highly recommended by our happy customers with a service you can trust. We offer a 10 year insurance backed guarantee and undertake insurance work for domestic and commercial customers. Replacement aluminium or uPVC windows are available as a part of our repair service. We offer a hassle free service that can have your broken window fixed in no time. 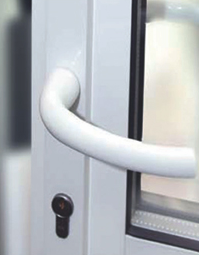 If your door needs replacing, then please contact us so one of our experts can assess the problem.